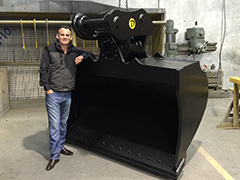 Giday, I’m Jeremy and have over 20 years’ experience in engineering and earthmoving attachments, I have a joint role of managing director and global business development manager. I am also involved in Product research & development and international procurement. My time is split between managing the overall direction and expansion of our Group and establishing our brand internationally. I spend much of my year travelling the globe and outside of work I enjoy spending time on the water, motorsport and more travelling. 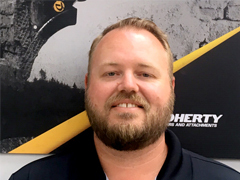 Before joining Doherty I was in the steel industry for eight years, mostly working in sales. So it’s been a fairly smooth transition for me joining the Doherty team. When I’m not working I enjoy all the usual range of sports, like motorsport and I follow the V8 supercars. I’ve also got a 1972 VW Kombi which my wife and I take out whenever we can for surf missions with the kids. In fact, I’d love to surf every day if I could! I’m the Technical Director. 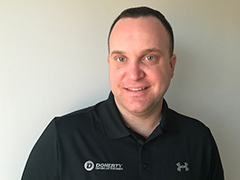 I have over 30 years’ experience in mechanical design and CAD modelling and look after design and product development at Doherty. I have many interests including all forms of motorsport, classic cars and fishing. I joined the company in March 2013 after many years in Commercial Banking. I play a key role in the financial side of the business, setting budgets and goals, and helping put strategic plans in place. Outside of the office I enjoy sports and social activities. A typical weekend includes time spent with family and friends, either watching sports, out on the boat or enjoying a game golf. I play a key role in the financial side of the business, setting budgets and goals, and helping put strategic plans in place. Outside of the office I enjoy sports and social activities. . A typical weekend includes time spent with family and friends, either watching sports, out on the boat or enjoying a game golf. 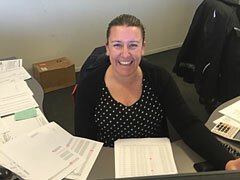 Hi, I’m Sharon, Office Administrator and smiley face for Doherty Couplers and Attachments. I have over 11 year’s office administration experience and maintain the day to day financial, accounting and administrative tasks. I’m an out-going person that enjoys laughter and a positive outlook on life. When I’m not at work I’m spending quality time with Jarrad (my husband) and son, Oliver. Born and bred in Auckland, I moved to the Bay of Plenty in 2014. 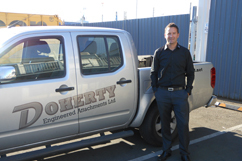 I’m a trade qualified engineer/welder and have been in the engineering industry for 18 years in various roles including sales of welding & engineering equipment before joining the Doherty family in 2018. Out of work, I try to get out on the water as much as possible whether it’s for fishing, exploring or socialising with friends and family. Tauranga born and bred I joined the Navy straight out of High School for 6 years. 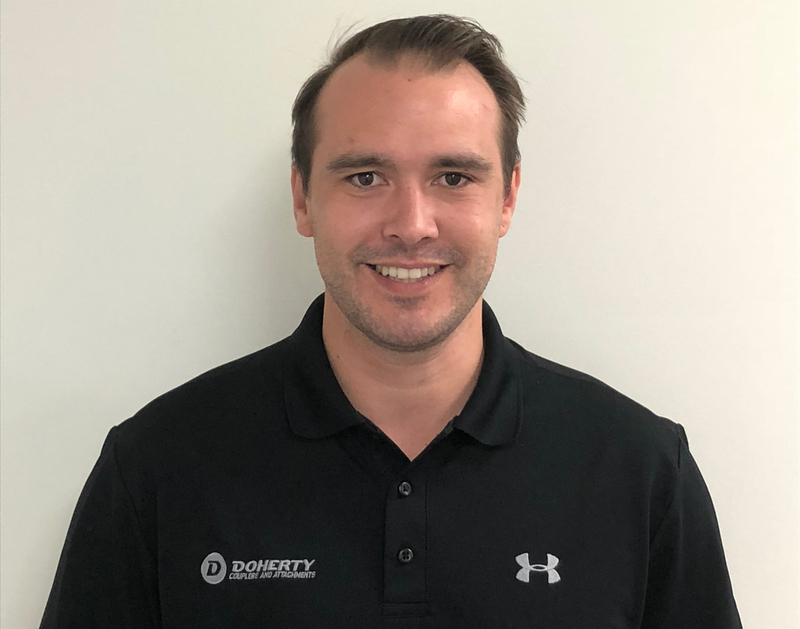 I then moved into the steel industry before jumping on board with the Doherty team in early 2018. 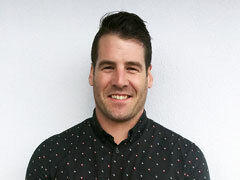 My role at Doherty focuses on building the NZ sales and long term relationships with customers, which I’m loving. Outside of work, I’m a keen snowboarder in winter and this summer I’ve decided to learn something new – kitesurfing here I come! 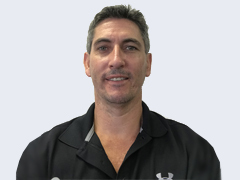 Queensland born and bred, I’ve worked as a diesel fitter, along with 12 years in the construction industry, and a 6.5 year stint overseeing production in the Oil & Gas industry before joining Doherty as production manager based in Brisbane. 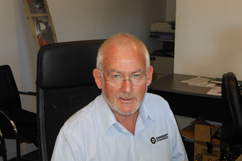 My core role is to ensure our Australian production facility runs smoothly. 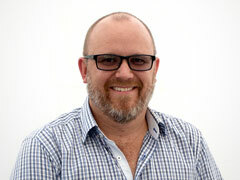 Hey I’m Brendan, Territory Manager for SA, Victoria and Tasmania. I’ve worked in the material handling and earthmoving industry for 20 years, almost my entire working career, and live by the motto of ‘always doing the right thing’. I was brought up in Melbourne and now live on the Mornington Peninsula with my wife, Antoinette and crazy dog, Zoe. On the weekends, I like to relax at home, play golf, go out to dinner and watch the footy (AFL). I like to bet, but almost never win, and once in a moment of madness I entered the Melbourne Ironman! I’m Brisbane born and bred, and worked in the civil construction and mining sector for 18 years before taking the role with Doherty in Brisbane. Cooking for family and friends is my relaxation time. I’m also learning to play the guitar, although the kids always want to join in when I’m practicing so it’s hard to make much progress with them around! Cooking for family and friends is my relaxation time. I’m also learning to play the guitar, although the kids always want to join in when I’m practicing so it’s hard to make much progress with them around!